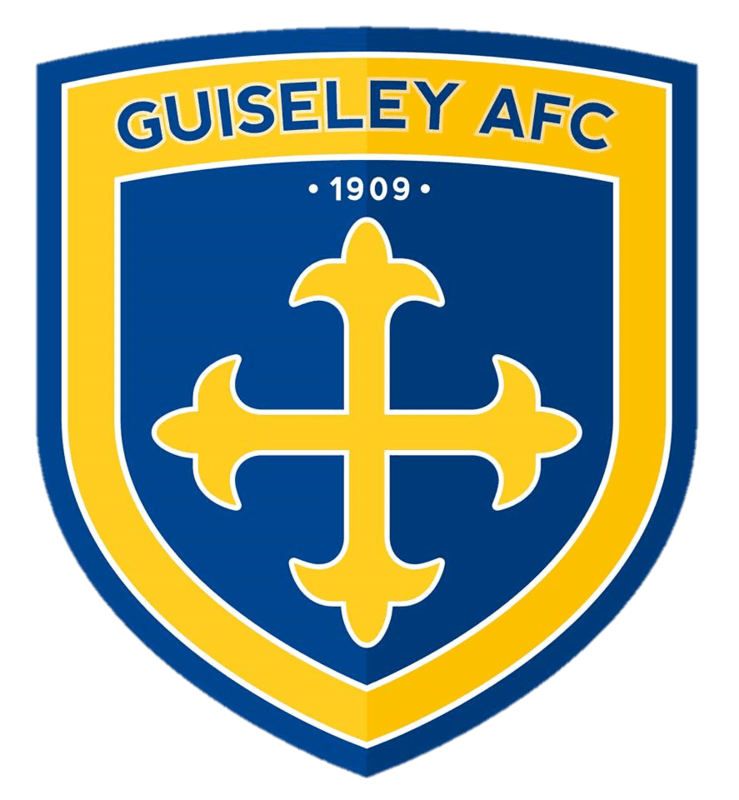 Guiseley eventually saw off spirited Thackley side to win the West Riding County Cup for the eighth time in their history but only after their youthful opponents had been in front on two occasions and taken the Lions to extra time. Two goals from Joe O’Niell plus a header from Darryn Stamp and a James Walshaw penalty canceled out a well taken brace from Nicky Matthews. The energetic Luke Sharry tested Thackley keeper Matt Convey with the first shot of the game but it was the Bradford side who took an early lead six minutes in when a sloppy pass from Danny Boshell let in Matthews who scored with a well placed shot into the bottom corner beyond Stephen Drench. Despite plenty of probing the Lions were struggling to find a way through a Thackley side that chased and harried at every opportunity and could have increased their lead on the quarter hour but for a timely intervention by Simon Ainge. Persistence though, eventually paid off as Walshaw got the better of his marker down the left flank and cut a ball back to O’Niell who went past two defenders before firing past Convey into the top corner on 28 minutes. Convey then pulled off a tremendous one handed save from Walshaw’s header and then blocked the strikers follow up to ensure that the sides went in all square at the break. With Drench still showing the effects of a recent ankle injury Karl Martens replaced him on the restart and he was soon picking the ball out of the net on 53 minutes when another loose pass, this time from Sharry, was intercepted by Matthews who gave Martens no chance with a shot from just inside the area. Dave Merris replaced Jake McEneaney and Matt Mathers brought two good saves from Martens. The Lion restored parity for a second time courtesy of a trademark Stamp header on 72 minutes from Ryan Toulson’s pinpoint cross. Gavin Rothery and Boshell both fired over with extra time looming before the Lions went in front for the first time in the 101st minute when Sharry played a superb cross field pass to Toulson, who’s low cross was stepped over by Walshaw, allowing O’Niell to finish with a blistering drive. Thackley replied with a powerful shot from twenty yards which Martens did well to push round the post and O’Niell brought another good save from Convey. The in-form striker was then worryingly helped off the field with a serious looking ankle injury. However, the match was finally put beyond the Dennyboys reach by James Walshaw who brought down in the area and converted the resultant spot kick with seven minutes remaining.